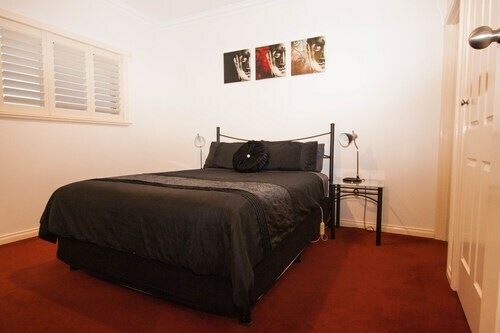 Situated in Warrnambool, this motel is within 1 mi (2 km) of Warrnambool Art Gallery and Warrnambool Beach. Warrnambool Botanical Gardens and Flagstaff Hill Maritime Village are also within 1 mi (2 km). Warrnambool Station is 15 minutes by foot. Situated in Warrnambool, this motel is within 1 mi (2 km) of Flagstaff Hill Maritime Village and Warrnambool Beach. Warrnambool Art Gallery and Warrnambool Visitor Information Centre are also within 1 mi (2 km). Warrnambool Station is 25 minutes by foot. 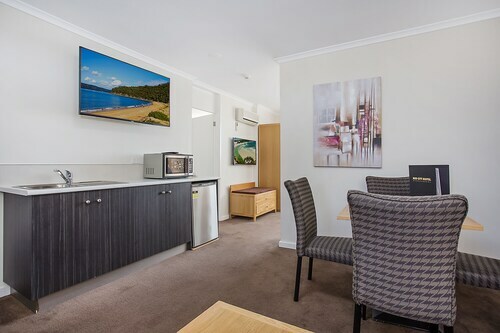 Located in the heart of Warrnambool, this motel is within 1 mi (2 km) of Warrnambool Botanical Gardens and Warrnambool Beach. Warrnambool Art Gallery and Flagstaff Hill Maritime Village are also within 1 mi (2 km). Warrnambool Station is 18 minutes by foot. 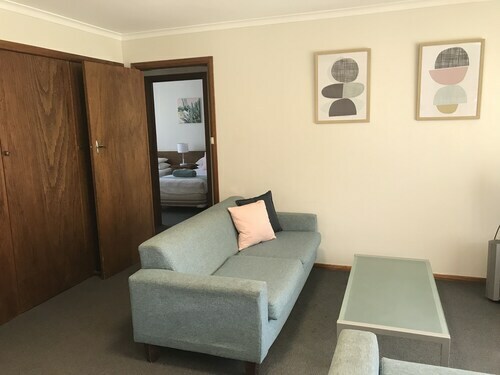 Situated in Warrnambool, this motel is within 3 mi (5 km) of Logan's Beach, Flagstaff Hill Maritime Village, and Warrnambool Art Gallery. Warrnambool Visitor Information Centre and Warrnambool Beach are also within 3 mi (5 km). Sherwood Park Station is 21 minutes by foot. 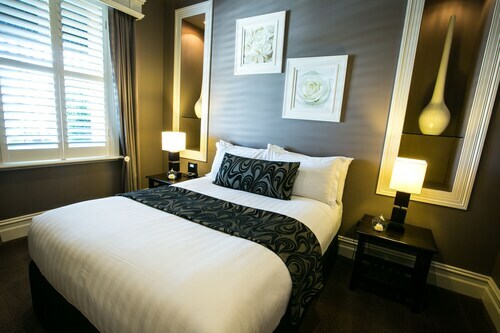 Located in the heart of Warrnambool, this hotel is within 1 mi (2 km) of Warrnambool Botanical Gardens and Warrnambool Art Gallery. Flagstaff Hill Maritime Village and Warrnambool Visitor Information Centre are also within 2 mi (3 km). Warrnambool Station is 17 minutes by foot. 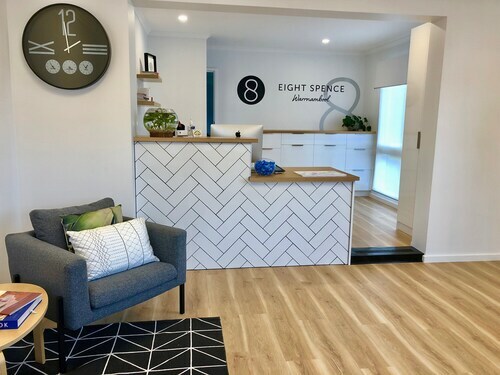 Situated in Warrnambool, this luxury apartment building is within a 10-minute walk of Flagstaff Hill Maritime Village and Warrnambool Beach. Warrnambool Visitor Information Centre and Warrnambool Art Gallery are also within 10 minutes. Warrnambool Station is 11 minutes by foot. 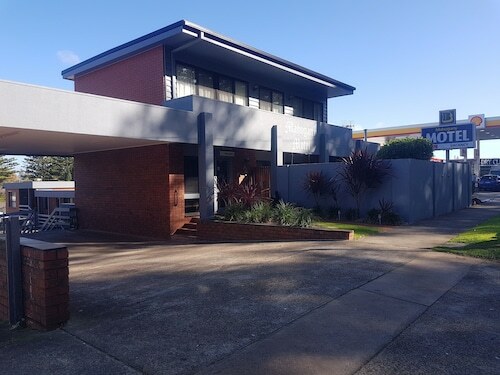 Situated in Warrnambool, this apartment building is 0.7 mi (1.1 km) from Warrnambool Botanical Gardens and 1.3 mi (2.1 km) from Warrnambool Beach. Warrnambool Art Gallery and Flagstaff Hill Maritime Village are also within 1 mi (2 km). Warrnambool Station is 11 minutes by foot. 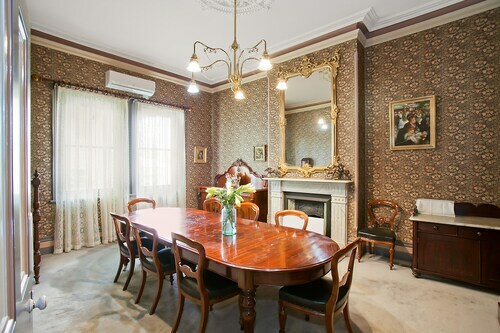 Located in the heart of Warrnambool, this luxury bed & breakfast is 0.8 mi (1.2 km) from Warrnambool Botanical Gardens and within 3 mi (5 km) of Flagstaff Hill Maritime Village and Warrnambool Golf Club. Warrnambool Station is 27 minutes by foot. 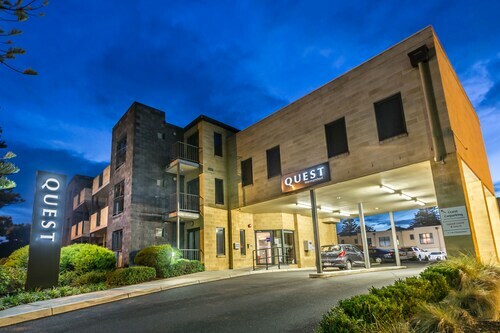 Located in the heart of Warrnambool, this luxury apartment building is within a 15-minute walk of Warrnambool Art Gallery and Warrnambool Beach. Warrnambool Visitor Information Centre and Flagstaff Hill Maritime Village are also within 10 minutes. Warrnambool Station is 8 minutes by foot. Stay in our Warrnambool accommodation and experience this lovely town on the Shipwreck Coast, which boasts swimming beaches, walking trails, beautiful scenery and historical sites. Warrnambool is located on Lady Bay and overlooks the Southern Ocean. Warrnambool gets its name from an Aboriginal word meaning "water between two rivers", which was used to describe a nearby mountain range, and the Shipwreck Coast gets its name from over 180 ships which were wrecked along the coast. Visit Flagstaff Hill, while staying in our Warrnambool accommodation, and learn of the area's maritime history, with a recreated maritime village, an original lighthouse and a nightly, $3 million, laser and sound show called ‘Shipwrecked’, which lets you experience the final actions of the ill-fated clipper Loch Ard before it sank off the coast. While staying in our Warrnambool accommodation, relax and have fun at the area's favourite family attraction Lake Pertobe Adventure Playground, which features children's' playground, skate park, BBQ facilities and walking tracks across the protected wetlands. Opposite the park is Lady Bay Beach which is perfect for wind-surfing, yachting, and swimming with lifeguards patrolling during summer. Another great beach for swimming is Stingray Bay at the mouth of the Merri River. Levy's Point, while not safe for swimming, is ideal for surfing and fishing. Visit Cannon Hill, while staying in our Warrnambool accommodation, and enjoy stunning views of Lady Bay and the Southern Ocean, and see "Padrao", the monument to early Portuguese exploration of the area in the 1500s. Cannon Hill is named for the cannons which were installed to defend the town from sea-borne invasion from the Russians during the Crimean war. Get close to nature, while staying in our Warrnambool accommodation, by visiting Tower Hill State Game Reserve where koalas, emus, kangaroos and waterbirds roam freely. Or visit Hopkins Falls, 13km north-east of town, where the annual upstream migration of eels can be witnessed in early summer. See the famous painting of Tower Hill, painted by Eugene Von Guerard’s in 1855, at the Warrnambool Art Gallery. The Gallery, established in 1886, is one of Australia's oldest public art galleries and boasts a great collection of Australian and European works. Having a hard time deciding which of our Warrnambool hotels to stay at? Why not check out our picks of the best deals in the region? How Much is a Hotel Room in Warrnambool? 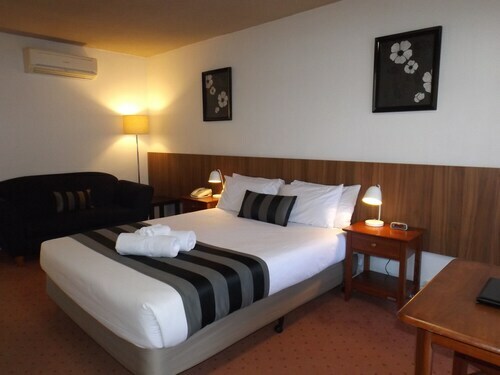 Hotels in Warrnambool start at AU$64 per night. Prices and availability subject to change. Additional terms may apply. The Staff were friendly, the property was in a good location and good condition, facilities were good. Just Awsome. Will be back for sure. Stawell so helpful.